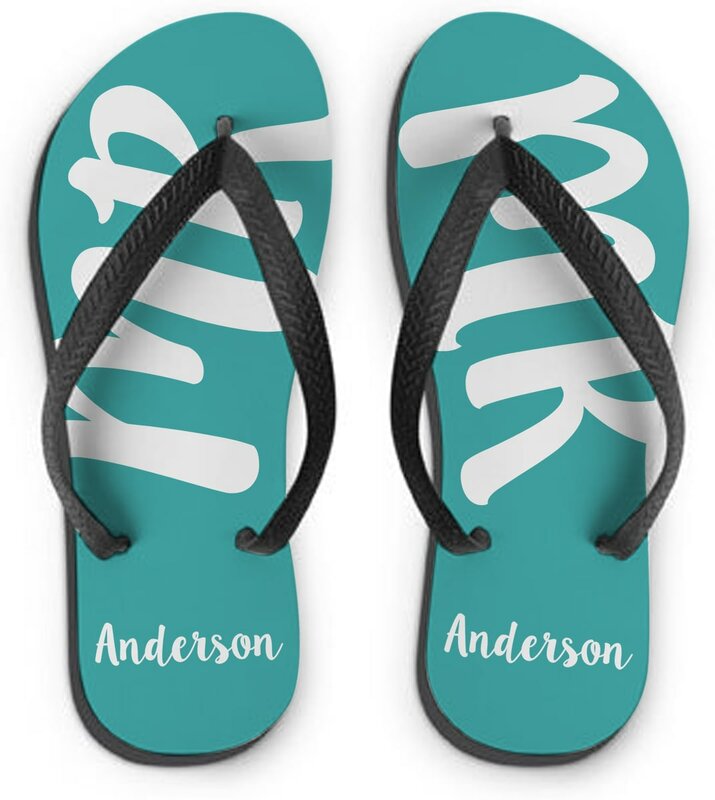 Personalise these teal ‘MR’ flip flops with a name of up to 20 characters. They are made from polyester and rubber and measure 24.3cm x 8.8cm. Personalise these blush pink ‘MRS’ flip flops with a name of up to 20 characters. 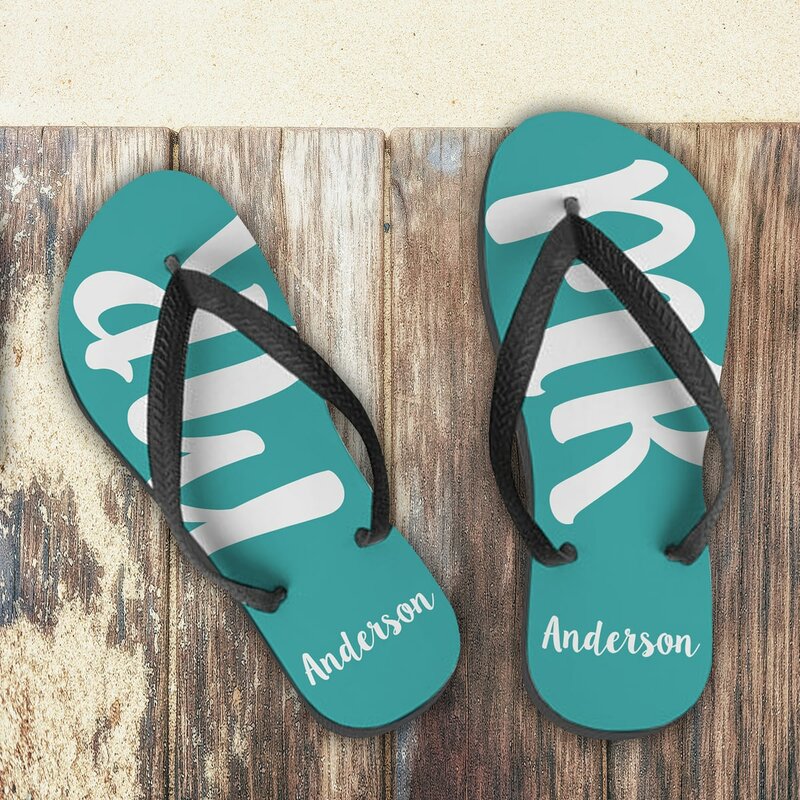 Personalise these grey flip flops with the groom’s name of up to 15 characters. Personalise these funky shark flip flops with any name of up to 15 characters. The name will appear on both flip flops.